Home » Blog » Should You Sell Your House? There are many reasons people decide to sell a home, ranging from personal finances to the need for more or less space. If you’ve been sitting on the fence, you’ll be glad to know the right time to hop off the fence and list your house is anytime! Your home is a unique asset in your investment portfolio. This is because a home is where you live. Plus, it’s an all or nothing proposition. You can’t sell a portion of your profits, like that rarely used guest bedroom. So, when making the decision to sell, your personal needs will likely play a factor in determining the right ‘perfect’ time to sell. With potential buyers having the ability to browse homes online 24/7, there’s always a market. Sure, the time of year can play a role in how quickly something might sell but even in historically slow times, there can be an advantage. For instance, if most are waiting until spring to list their house, that means if you list in winter there will be less competition. When buyers have less choice, it can put sellers in the driver’s seat. It’s not so much when you put your home on the market, but the price you choose to list at that will set the tone for your sale. When priced right for the market, anytime can be the right time to sell. Are you Financially Prepared To Sell Your Home? Moving can be really exciting, but there are some costs to consider when selling your home. 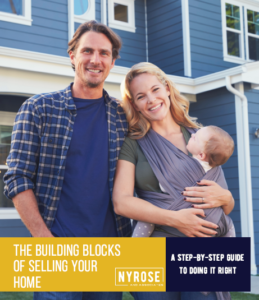 Nyrose and Associates are here to help. Schedule a consultation with one of our professional, experienced Realtors®. We’ll ask you the right questions and together we’ll help you decide if the time to sell is now.